Shopify is the favourite eCommerce software system of many dropshippers because it is easy to use, creates a great-looking storefront and has numerous ways to expand as your business grows. Shopify delivers out-of-the-box functionality, but there are many ways to tweak the available features or add new functions. These allow you to create a more personalized shopping experience. We will provide you with helpful tips on fine-tuning your storefront appearance and functionality. 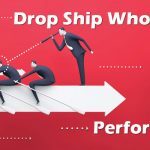 In this Shopify Dropshipping Guide, we will cover 1. Themes, 2. Ways to Sell and 3. Applications. You might unlock a few Shopify features that you did not know existed. There is a lot that is involved in running a successful business. Shopify takes care of the back-office technology, so you can concentrate on your core competency. You might be really good at performing one specific task, showing off one particular skill set or handling one product line. 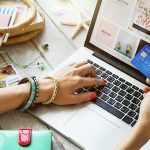 Shopify is a versatile eCommerce software that can be used for displaying merchandise, creating a shopping cart and linking to payment systems. Shopify is easy to set up and provides you with what you need immediately. There are an estimated 446,005 entrepreneurs who already use Shopify and are satisfied with the results. Thankfully, Shopify makes it so that you don’t have to master everything online. With Shopify, you have a business partner to help you optimize your profit-making skills. When you first start out, you might want to ensure that you understand Shopify Themes, Ways to Sell and Apps. 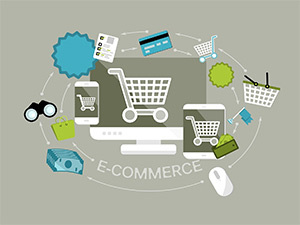 When visitors reach your website, they will see what Shopify calls a “Theme” (computer programmers might call it a Graphical User Interface (GUI)). This Theme consists of your store’s color scheme, type fonts and text spacing. Learn how to modify old Themes or design new Themes. Shopify is a great link to the Internet. It has established partnerships with the top sales channels, including Amazon and eBay. You have numerous Ways to Sell, including Facebook and Pinterest. And, Shopify understands the need to expand, fine tune and perfect your storefront features. That is why it can be used by both Average Joes and computer programmers. There is a community of computer programmers to help you add functionality using apps. Your online storefront must satisfy a number of criteria before people will buy your wares. When individuals type in keywords into a search engine, they want to verify that the listed websites are an actual match. Does the website look legitimate? That is what Shopify delivers right off the bat – legitimacy. It creates a professional-looking website that will make your customers feel like they are in the right place. Creating the right mood is the second need for a successful website. You want the consumers to feel like they can trust you. The World Wide Web can be like a dream to some. The websites are dispersed in remote locations and can be difficult to comprehend. 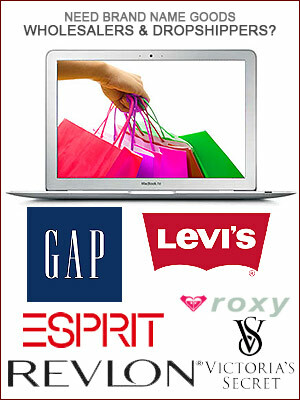 Online shops have an element of the intangible to them. This is different than brick-and-mortar stores in the local shopping mall. You know that you will find shops at the mall. When you go online, you don’t know what you will find; and, neither do your website visitors. Your Shopify storefront should be used to welcome visitors in to peruse your shelves for merchandise. It should project the fact that you have a fully functioning online store. Usually, you will want your website to reflect certain basic industry standards. The color red is associated with fire, hunger and good fortune. Many restaurants will use the color red in their advertisements, displays and websites because it represents fire, hunger and good fortune. It makes you think of a grill cooking a hamburger. Shopify Themes provide you with storefront displays that have worked for other merchants. Shopify can start you off on the right foot. What do you want to be the first thing that your website visitor sees? You might want to feature your best-selling products. If your industry is more complicated, you might want to include information, blogs or news. Increasing the knowledge of the public can establish you as a Subject Matter Expert (SME) and increase your credibility. This might deliver a higher Google Page Rank. You might be listed when there is Breaking News on various industry topics. A new business might want to accumulate a number of customer emails. Providing a short contact pop-up box allows you to accumulate information quickly. You can contact them later, using Email Marketing. Besides a color scheme, Shopify Themes will also provide you with a type font. Type fonts are the shapes of the letters that appear on your screen. There are thousands of type fonts. Curved type fonts tend to be better for creative, innovative, fanciful websites. Squared type fonts are better for technical websites. Also, some type fonts are easier to read. Some are easier to print. Some are easier to view on a smart phone. With your Shopify dropshipping software, about 100 free themes are included. There are a variety of different types of themes that might be better for different types of products. Have you ever gone to a restaurant for breakfast and wanted to substitute some order items? They might have eggs, pancakes and toast listed as one order. But, if you don’t like toast, you might want to substitute baked beans. You can do the same if you want to customize a Shopify Theme. Shopify listens to its customers and gives them ways to customize their free Themes. You can do all this in the Shopify Theme Editor. You don’t even need to know any programming language, just use the pre-made components in Shopify Sections to change the settings. These allow you to create your own personal look. You can add or remove features on the fly. Shopify gives you the ability to personalize features. As your business grows, you will develop your own style and customer base. Your most loyal customers might want to have a way to differentiate you from the competition. You might want to define your brand more clearly and distinctly. Shopify understands that you might want to create your own New Themes. You will need to think about how certain Themes are better for accomplishing certain purposes. Sit down and write down the characteristics of your brand. What are your best features? Why should customers choose you over the competition? What do you want customers to remember about your products, services or website? It pays to consider some of the top global brands. You might see an automobile driving down the road and recognize the Subaru symbol on the grille. How does that logo represent Subaru? The top brands have their own logos, color schemes and panache. You can add copyrights or trademarks to increase the value of your business. You might want to hire a professional graphical artist to create a one-of-a-kind corporate logo for you. A brand shows your differentiation, distinction and superiority – you offer better products and services than the competition. Plus, with a full-fledged brand, people will recognize your logo and website, intuitively. This saves you time on advertising and marketing. Creating a New Shopify Theme makes you stand out. Optimizing sales is the goal of all businesses; but, the manner in which you do so is all dependent on your personal brand. Your own Theme creates your own distinctive brand. It is easier for you to generate more sales through word of mouth. You can attract more high value customers. You know who you are, but complete strangers don’t. Unfortunately, online shoppers might only give you a few seconds to communicate. A Shopify Theme says a lot about your business, in an instant. And, if you have a little computer programming knowledge, then you can customize the Shopify configurations. The Shopify programming language is called “Liquid”. Programmers can use Liquid to load dynamic content to their storefronts. You can build custom components in Shopify. The Liquid programming languages uses tags, objects and filters. Tags constitute the logical commands that tell the website what to do. Objects are the attributes to apply to your template (i.e. the color blue). Filters modify numbers, strings or variables (i.e. add $50 to Shopping Cart Total). There is also a group of programmers, called Shopify Partners. They might already have experience making free or paid themes. Merchants choose Shopify because it delivers a fully functional storefront out of the box. You don’t need to know a thing. If you do have some expertise, you can add more advanced features. Shopify continues to make connections to the top Internet brands in the world. You can learn about how different features work by checking out the Shopify website. Shopify is your international business partner. As of May 2018, Datanyze calculated that there were 6,895 current websites in Australia using Shopify. This gave Shopify a market share of 12.15% for Australia. This performance made Shopify #3 out of 157 eCommerce platform technologies in Australia. Did you know that you have many Ways to Sell with Shopify? You can create a full-fledged Online Store or create an in-person Retail POS. You can use Shopify for a primary or secondary job. Would you like to reach millions of users on Amazon and eBay? Shopify has business partnerships with both. You can easily connect to these global marketplaces. And, do you have a Social Media strategy? Shopify creates useful links to Facebook and Pinterest. 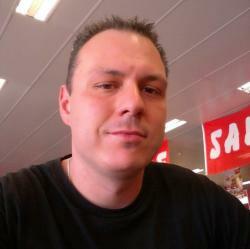 This allows you to sell directly from these Social Media websites. Shopify makes international connections to the top global Internet brands. You might have a profitable brick-and-mortar business, but you want to add an online presence. You can use Shopify Retail Point of Sale (POS) to deliver this functionality. The World Wide Web is great for those who want ancillary income. You might want to start a side business to earn some more Australian dollars. The Shopify Retail POS enables you to get started quickly. This Retail POS allows you to sell in person using your iPad, iPhone or Android device. This is great for those who might want to sell at flea markets or summer festivals. If you know there will be a big concert with a lot of people, you could sell your wares alongside the road. Or, during the hot summer time, you might raise some more cash selling from your ice cream truck. Shopify allows you to accept credit card payments and display your product catalog. Shopify delivers retail anywhere. Another option is the Shopify Buy Button. This embeddable product card allows you to add your merchandise to someone else’s website or blog. Shopify allows you to reach your customers using the latest technology. Amazon and eBay are global brands for a reason. Amazon is the #1 online retail marketplace and eBay is the #1 online auction house. Just think how you could increase your revenues by working with these retail juggernauts. When the Mongols rampaged across the world, nations had two choices: 1. Try to beat them or 2. Join them. Some compare Amazon’s entry to Australia in the same terms. Amazon has defeated all of its competition and might be the world’s first trillion dollar company. Shopify allows you to connect to Amazon. You can ride Amazon’s coattails to higher profits. Some of your products might be perfect for sale on the eBay auction house. You can reach 171 million eBay buyers if you connect your online shop to this global brand. Customers can bid on your merchandise. This might be best for customers who like to haggle over a price. High-value, one-of-a-kind niche products, like Perth Mint gold coins, rare books or collectible toys might be better for sale on eBay. Social Media is where the people congregate to share their views on the latest news, developments and life, in general. Successful businesses go where their customers are. A wise entrepreneur will incorporate a Social Media Marketing strategy into his business plan. Facebook was founded in the United States. Young people might check their Facebook pages every day. It has a somewhat balanced mix between men and women. Some experts claim that there have been a billion people who have been on Facebook. Facebook uses “Likes.” Sell on Facebook with Shopify. Shopify allows you to integrate your website with Facebook. Customers can peruse your merchandise directly on Facebook using Shopify. Shopify uses the Pinterest app to create Pinterest Buyable Pins. You can sell these Buyable Pins on Pinterest. You can also work with Pinfluencers to increase your sales. Shopify does the heavy lifting, connecting you to new sales channels. This allows you to expand your customer base and increase your sales. Shopify gives you the key to open the door of opportunity. When your mother would initially combine eggs, milk, flour and sugar together, you weren’t quite sure what she was making. All you could see was batter. This might be how some new websites look initially. Eventually, your mother might add a special ingredient or change the mixture combinations to make bread, pancakes, cake or something else. In the digital world, these ingredients are called applications (or Apps). Apps create the features and functions of your Shopify online store. Some of these apps can accomplish vital day-to-day goals, others might be used for special projects. They may be essential tools for executing your sales and marketing strategy. Nothing happens without being planned in the digital world. A pop-up window won’t just appear out of nowhere, unless there is source code making it possible. Apps create many of the functions that online shoppers take for granted. Shopify has given you the basic features. Now, you can add the apps to make your store, your own personal advanced brand. Shopify helps you navigate the application process. Once you have your online store ready to go, you might want to add apps to perform special functions. It could be a special sale, Live Chat or contact information box. There are basically four ways to add apps to your dropshipping store: A. Free, B. Paid, C. DIY or D. Hire Programmer. Each has its advantages and disadvantages. Every mechanic has his favourite tool and adding a special app might be a good way to personalize your store. Sales and marketing apps help businesses optimize sales. 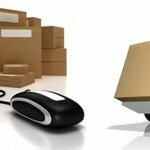 Each of these provide very important functions, such as shipping, sales or shopping cart assistance. The majority of Amazon users expect free shipping, so the Free Shipping Bar by Hextom will be a welcome feature for many. As mentioned earlier, there are Shopify Partners who might have written public paid apps. These paid apps allow you to improve how your storefront works. If you can crack the Shopify Liquid programming language, you can make your own app. You might understand the logic behind the commands and want to “tinker” with a few lines of source code. A DIY app can personalize your website and make it stand out. You can also hire one of the Shopify Partners to build a special private app for you. You might have seen a cool feature on another website and wanted to replicate it. Add superior features, functions or connections to gain a competitive advantage. Just like with any industry, there are different trends for apps. You might have seen a feature that was only available intermittently before. Suddenly, it becomes an industry standard. Live Chat establishes your legitimacy because it shows you are a real store. You are selling real merchandise. It shows you care about the customer. You can promote certain products using Live Chat. You can ask the customer if he or she would like to purchase a special item that is 50% off. This can be a powerful marketing tactic. How many visitors become frustrated and want a simple question answered? If no one responds, they might simply leave your store. If you answer their simple question in real-time using a Live Chat box, it could result in a sale. The customer will feel appreciated. You might convert a click away into a sale. You can accomplish a lot with one simple Live Chat app. Every business owner wants to optimize sales. Is there any way that you could do this using an app? Perhaps, you might consider the Abandoned Checkout app. Studies have shown that many shoppers (it might be as high as 2 out of 3 customers) might start to fill up a shopping cart, meaning to complete a purchase, but don’t. They might be interrupted. They might lack time, money or information. The Abandoned Checkout app can save the data. You can use this to remind the customer of his or her intentions. Improving the chances of completing a sale can improve your bottom line. You might make different choices based on the maturity, longevity or age of your company. This Shopify scalability is also a great feature. Shopify grows with you. Some successful marketing professionals are experts at psychology. They understand the customer thought process. The Sales Pop Social Proof concept is a good example. Mature businesses add sophisticated apps. Social proof teaches that humans are social beings influenced by the opinions of others. If others suggest that they should buy a product, then they are more likely to do so. You can move outdated merchandise with real-time notifications using the Sales Pop app. Would you like to increase the average order value of your store? Who wouldn’t? The Boost Sales app allows you to upsell and cross-sell. Do you have a recurring problem that you think could be solved with an app? This Boost Sales app is a pop-up window that views the customer’s selections and suggests a complementary or supplementary item. This collects and analyzes store data. It adds the personal touch, like having a sales woman suggesting a beautiful matching scarf for your ensemble. There are many great apps out there. Once you have become successful, you might want to add a new feature or function. This could allow you to reach a special niche customer group, promote a new brand or simply increase your sales. The industry-leading Shopify dropshipping software has a myriad of tools allowing you to mix and match functionality. It is a little like a Swiss Army Knife. If you fiddle around with the settings, you can get your online store, just how you want it. You can see what works and what doesn’t. Eventually, you might see an app that would fit in perfectly. You may have a great understanding of a certain product, but you don’t need to go it alone. No business man can accomplish everything, by himself. Shopify is a useful tool to help you manage your time efficiently. Once you master Themes, Ways to Sell and Apps, you are well on your way to optimizing Shopify. You can control how your website looks and works. 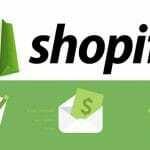 Shopify gives you the tools to run a successful online business. Shopify does the heavy lifting. It provides the back office functionality and cutting-edge technology that can be time-consuming and tedious. Shopify frees up your time, so you can grow your business.